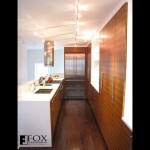 We built this zebrawood kitchen in a single family home near South St. in Philadelphia. 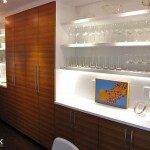 This long run of cabinets is surfaced with dyed zebrawood veneer which was then finished with a clear conversion varnish. 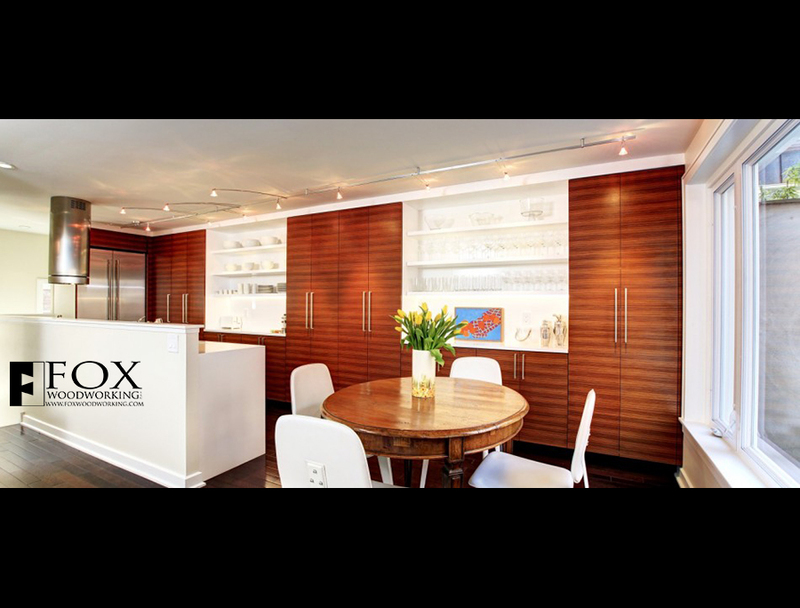 The zebrawood veneer is actually a man-made product from Brookside Veneers that is nearly indistinguishable from the real veneer. Using such veneers allows us to give the dramatic appearance of the exotic veneers without actually contributing to deforestation of those exotic tropical woods. 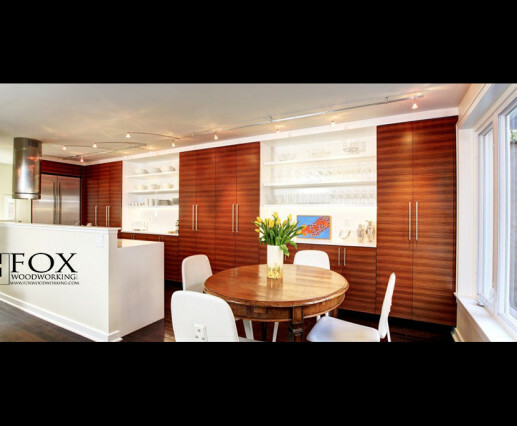 The cabinets themselves are made of white melamine but all of the exposed sides were finished with a white pigmented conversion varnish. We also built the white wood shelves using solid poplar. 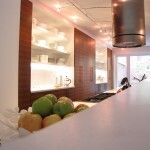 The shelves are also painted with the white pigmented conversion varnish.